An idyllic valley somewhere in rural Northern California? 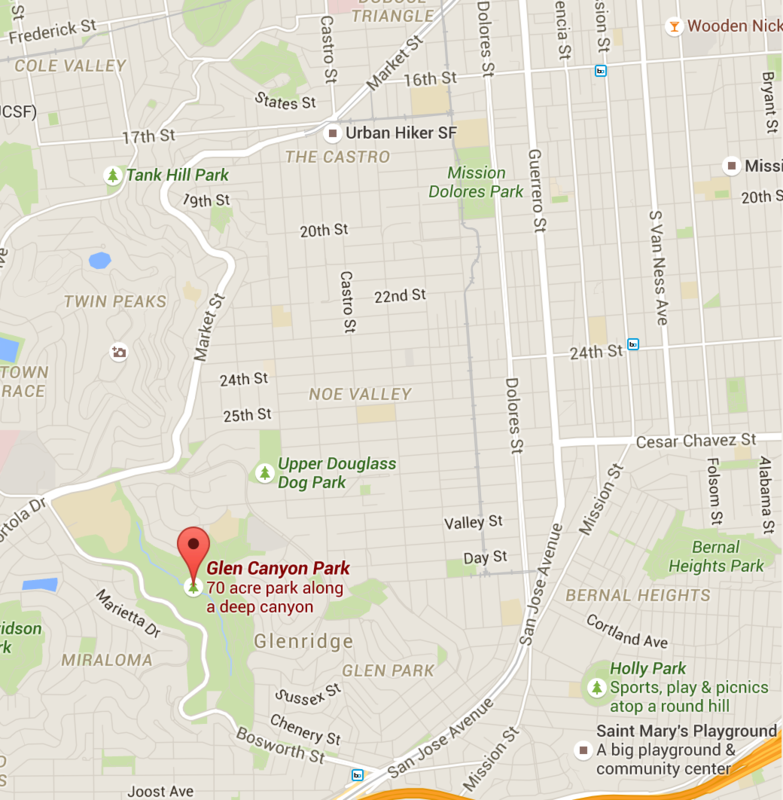 Nope, this is Glen Canyon in the heart of San Francisco. I never went here much as a kid — maybe because the canyon had a seedier feel in those days. It’s now been restored to glory (no doubt through the work of many dedicated volunteers). 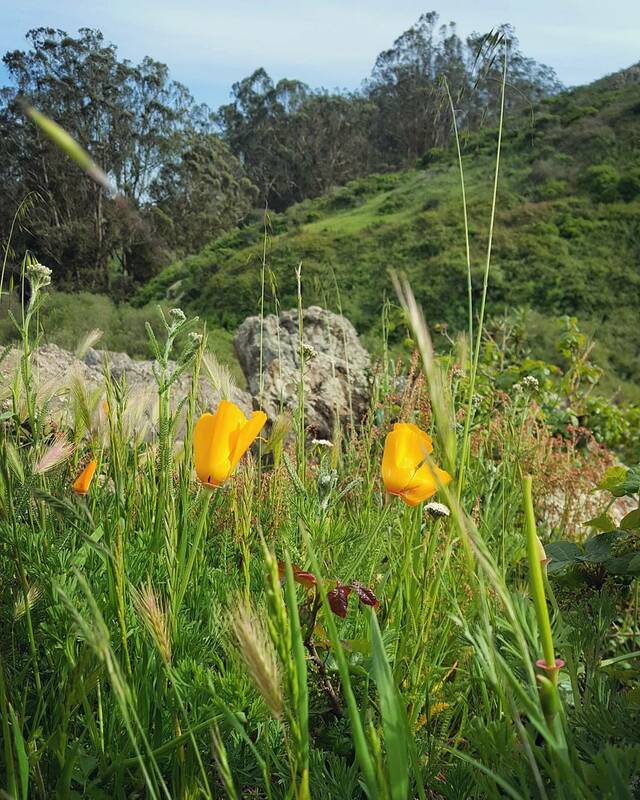 There are miles of trails and wooden boardwalks, craggy dropoffs, thickets of willows and expanses of native grasses and other plants, like these California Poppies.